Hello Everyone! Welcome back to The Horror Show Blog! Today we want to introduce you to another amazing prop new to The Horror Show this season. 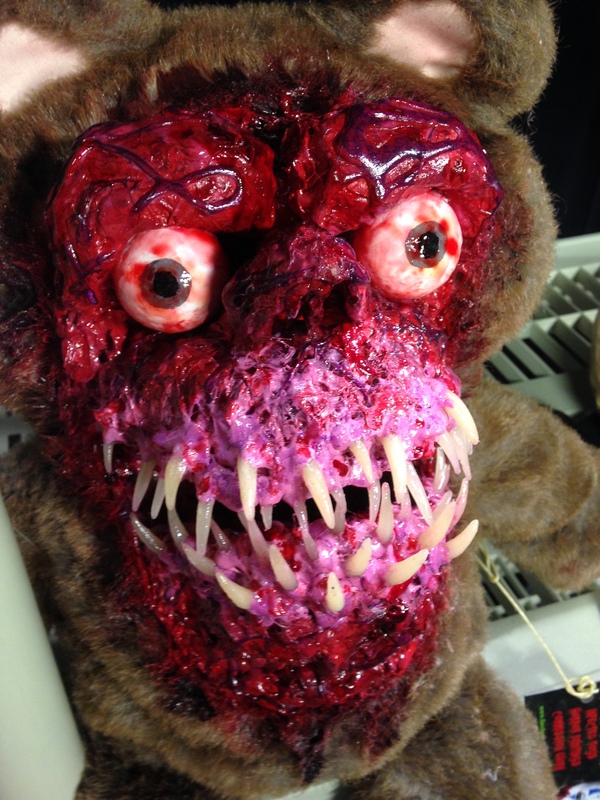 We would like to properly introduce you to Bloody Ruxpin A.K.A. Scare Bear. This huggable guy was created by Germ Spider Designs and you will find him on set hanging out with Jason, Freddie, and Michael! We are Estatic that Germ Spider Designs has donated this awesome creature to our show! In such a short time he has proven to be an invaluable asset to our set !Germ Spider Designs is a one-man horror art company who have been creating “Infected Toys” for the last two years! Each creation can take anywhere from 3 hours to an entire week to finish, depending on the size. They also make custom bears, as well as Hello Kitties, CareBears, and any other childhood icon you would like to have transformed into your very own “Infected Friend“! So if you are in the market for a new friend to keep you safe from bed bugs, go check out Germ Spider Designs! They can be found on FaceBook (Facebook.com/GermSpider) and on Instagram @GermSpiderDesigns . Well that’s it for today’s behind the prop post. Stay tuned for the next Episode for The Horror Show and remember… STAY SCARED! Hey everybody welcome to The Horror Show blog! What better way to kick off our blog than by providing you with a little perspective on what is happening on the set? Everyone is so excited to be back at the studio filming our second season! We just finished up two days of successful shooting and believe it or not we were able to complete 34 episodes! You can imagine that those days were long and left one with random pockets of free time. The great thing about working with our crew is that everyone has very titillating senses of humor which helps the time happily pass by. Our unique senses of humor are also the key to our continued success in providing you with some good, twisted entertainment! In addition to our crew’s creativity, we have had some awesome responses from you, our fans. If you look closely to our new set design you will be able to point out a few new props that were donated by some of our most talented viewers. You know people really dig your show when all the free stuff starts to show up. Each item will be showcased here on our blog so make sure to check back with us and see if you were able to pick out these terror-ific props! There are a lot of really cool things to look forward to this season. We have more movie reviews, more horror comedy bits, a horror/glam makeup how-to, a special FX makeup how-to, the first ever Great Horror Debates, and our very first actual horror short! Not to mention all the new faces, returning characters, and even celebrity interviews! Make sure to visit our Facebook page soon for show related topics, we are always looking for fan suggestions to incorporate in the show! Well that’s all for our first official post on The Horror Show Blog. Please leave you praises and comments in the fields below! Thank you so much from everyone here at The Horror Show, we are so delighted to bring you guys another season of full of laughter, terror, and enlightenment! Please make sure to visit us on Facebook and follow us on Twitter (@horrorshow666) and Instagram (TheHorrorShow666) to stay up to date with all the exciting things happening here at The Horror Show. And don’t forget to check out our podcasts for more behind the scenes interviews starring our cast and crew. If you have any comments and/or suggestions please email us at TheHorrorShow666@yahoo.com. And always remember… STAY SCARED!!! 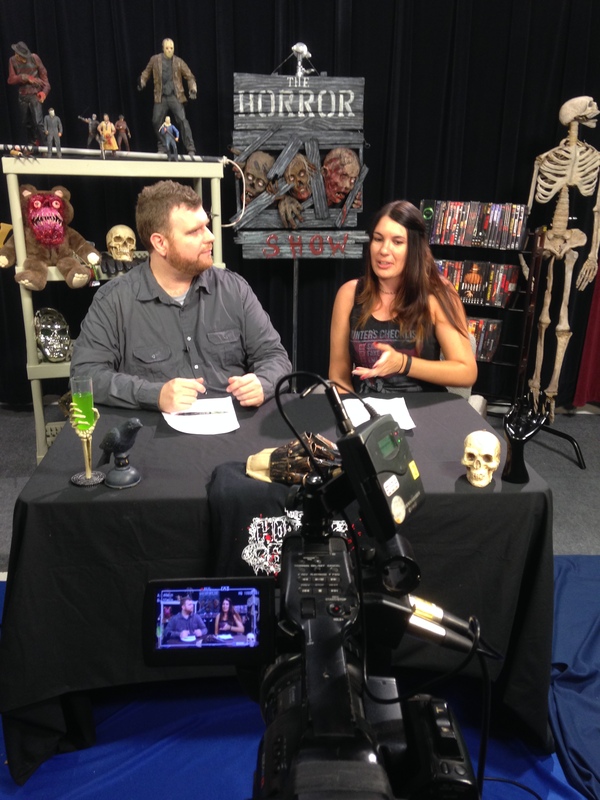 The Horror Show Podcast #11: Marcia the Zombie, Twice! In this episode, Cecil again sits down with his good friend, Marcia! This time they actually get around to discussing her involvement with the pilot run of The Horror Show on YouTube. In this episode Cecil sits down with the whole Von Slaughter family to discuss their experience working on our “Boogie Man” YouTube episode. In this episode Cecil sits down with our 2nd female co-host, the delightfully disturbed Morgue-N, and we find out her horror origins! 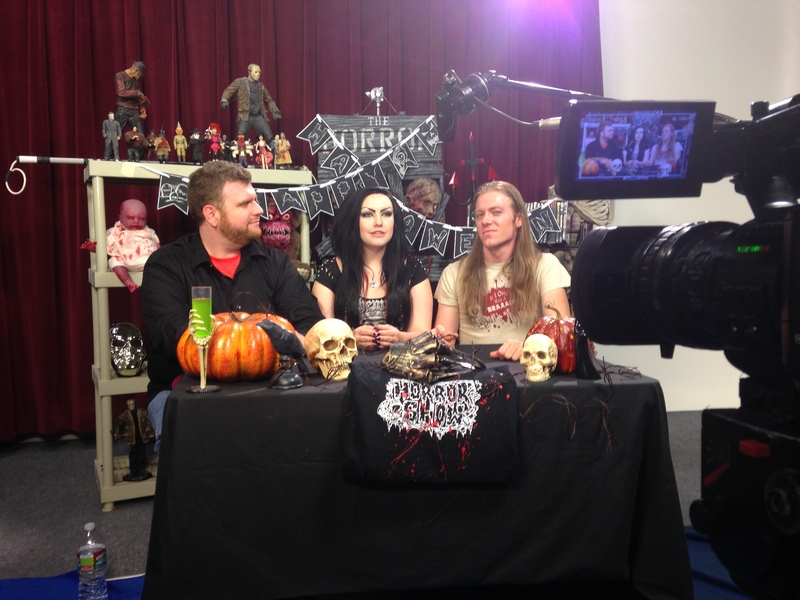 The Horror Show Podcast #1: Welcome to the Horror Show…er, Podcast! In this pre-launch (of the YouTube show) episode, Cecil sits down with Producer Dave to discuss the progress of our little program. 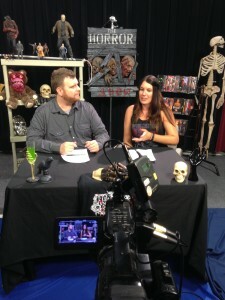 Welcome to The Horror Show Blog! So this is obviously the first entry on our new site! Exciting for us because now we have a place to start delivering our regular podcast in between our show’s runs on YouTube. We’ll also be posting pics and blogging at random whenever the mood might strike any of us three hosts. So check back soon because it won’t be long before there’s lots of cool content here! Thanks!